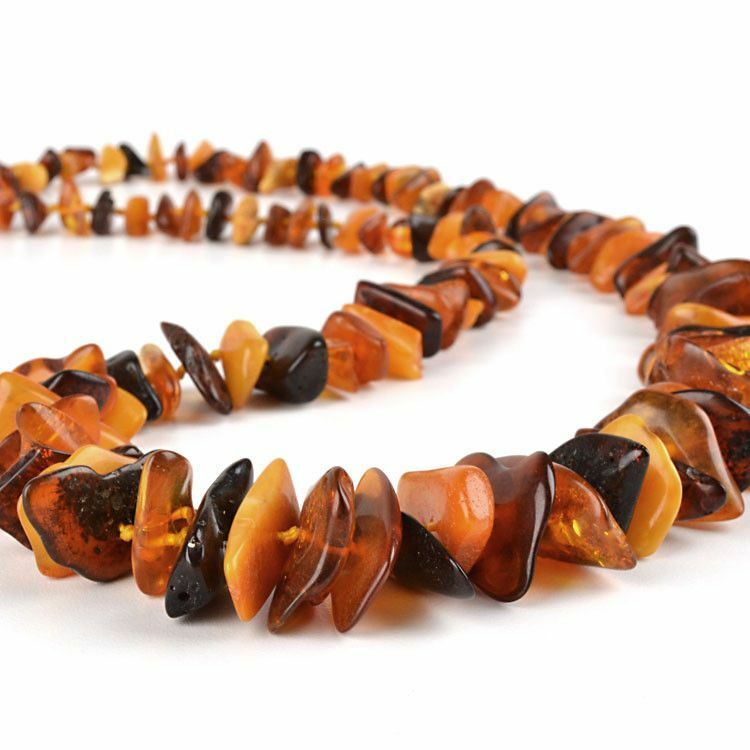 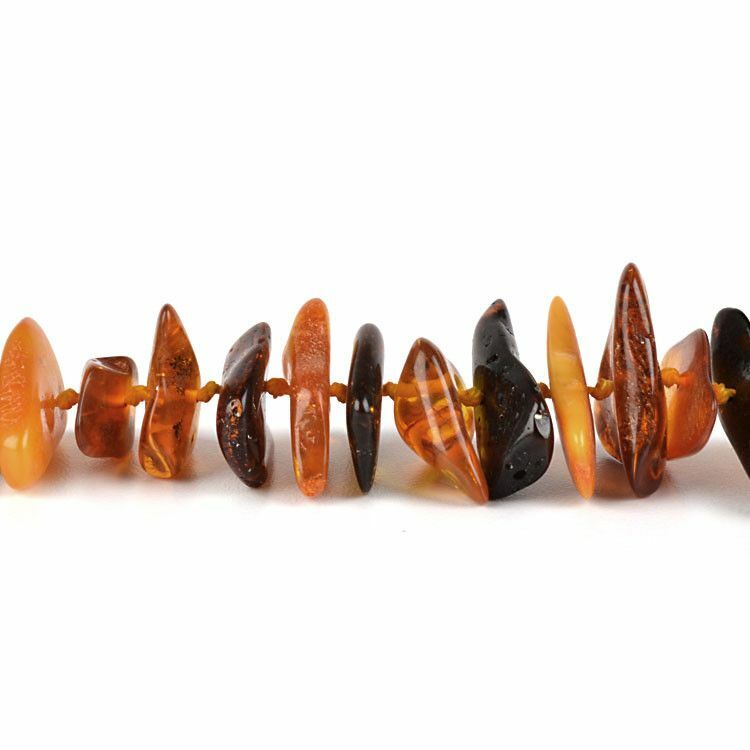 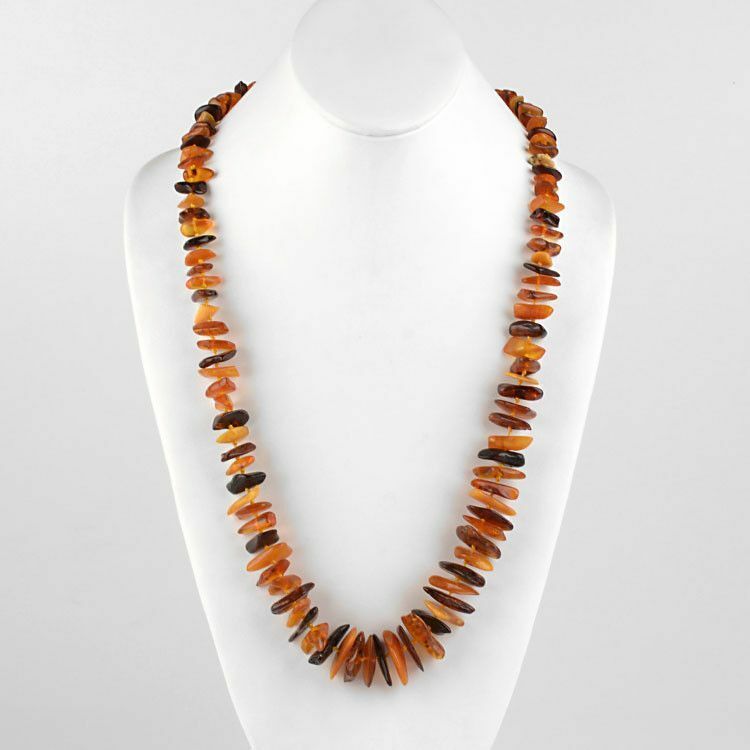 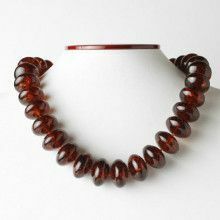 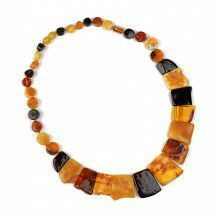 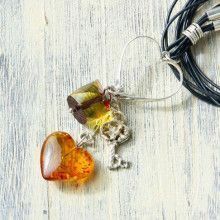 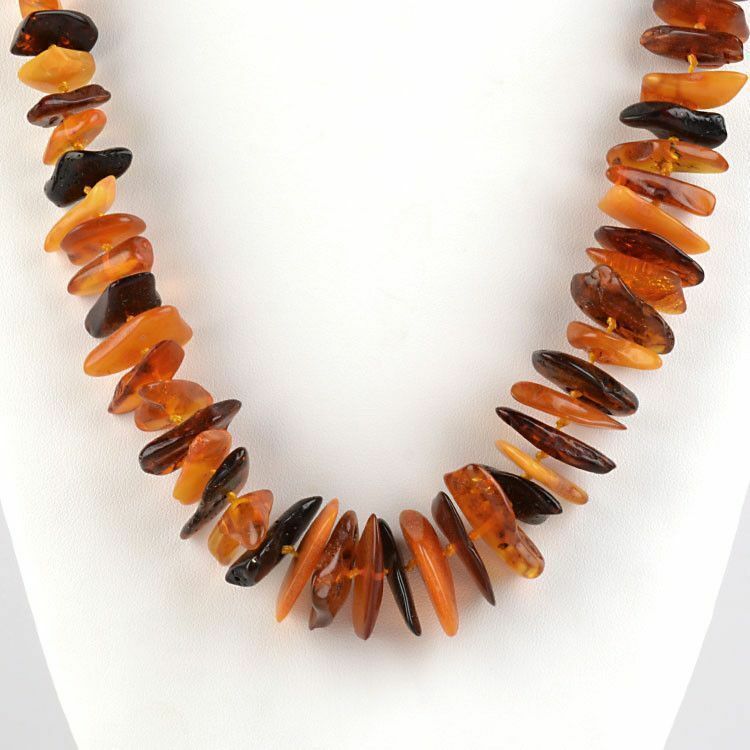 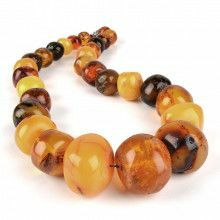 This 25" endless necklace consists of many 100% natural Russian amber chips in a variety of shapes, sizes, and colors. 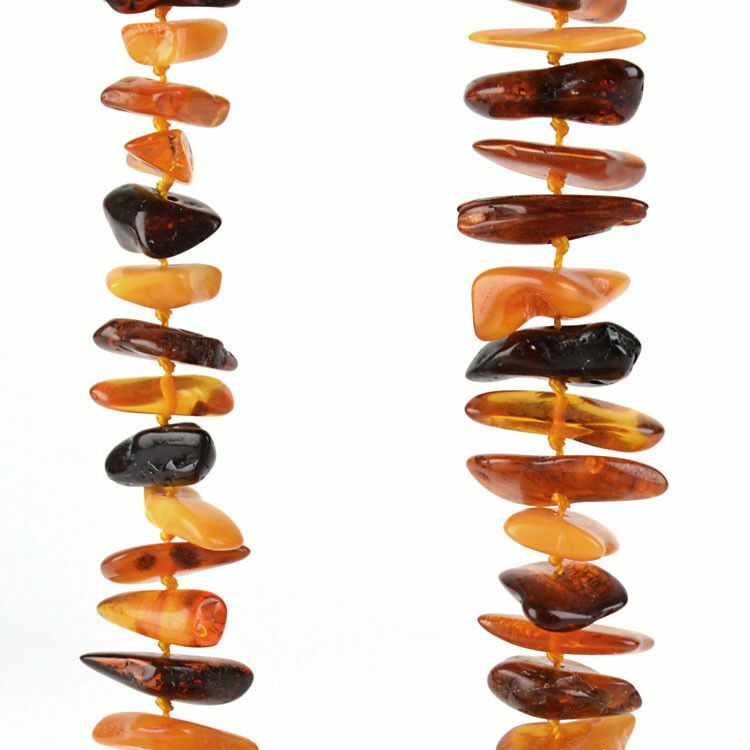 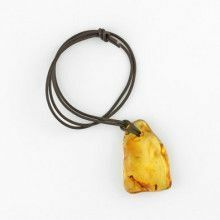 The amber chip beads are arranged from smallest to largest, and a Russian artisan hand-knotted the thread in between each and every beautiful stone. 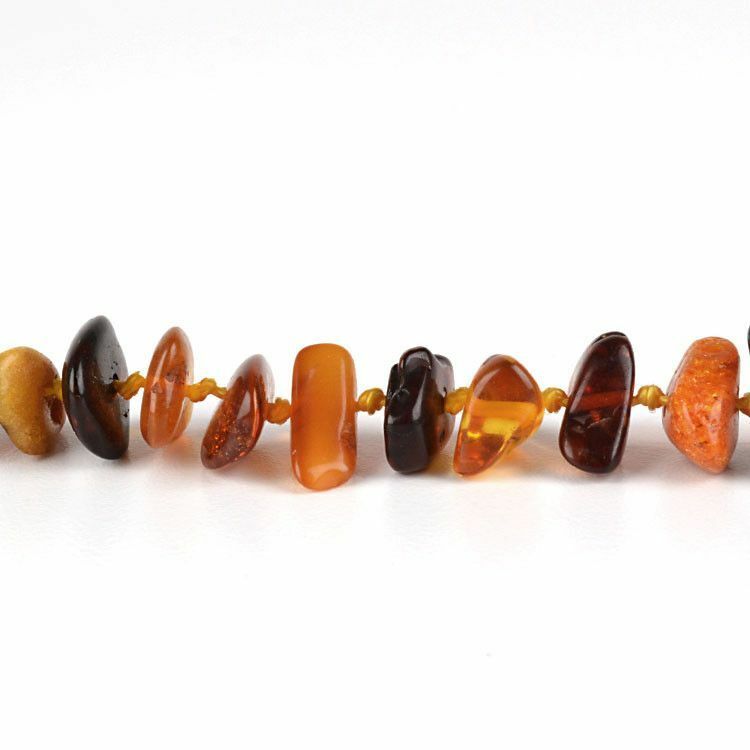 The citrine, honey, butterscotch, and cognac stones range in size from Approximately 1/2" to 1" long.